Share the post "Health Insurance and Fibroid Treatment"
Lost your job? Lost your insurance coverage? Learn why lack of insurance coverage doesn’t have to translate to the end of getting the help you need to treat your fibroids. I found out last year, a few weeks after I lost my job and my health insurance, that I have a cluster of fibroids the size of a grape and that I would need surgery to remove them because they are growing. Of late, I have been having sharp pains in my pelvic area almost on a weekly basis. I would like to know what help you can offer me and what the process would entail. I recently turned 30 years old and hope to be married soon and have children. What are my options are? Having fibroids can not only pose as an inconvenience and detriment to your health, but it can pose as an inconvenience to your pocketbook, especially if you don’t have the financial safety net of your insurance company to help pay for treatment. We understand that not everybody has the ability to have insurance and we believe that not having insurance should not impede on your ability to receive care. For this reason, we accept both insured and uninsured patients. We have had several patients that are not covered under an insurance plan and have instead covered the cost of treatment by way of making incremental cash payments. Additionally, you stated that you are experiencing sharp pelvic pains. These pains are common among patients with fibroids and can often affect the quality of life of a patient. From what you noted, it seems as though these pains are quite bothersome and you are looking into treatment options for your fibroids. In terms of fibroid treatment options, there are 3 generally accepted choices of treatment: myomectomy, hysterectomy, and UFE. Of the options stated, only Uterine Fibroid Embolizaton is the less invasive and less expensive option, with a quick recovery time. Both surgical procedures, myomectomy and hysterectomy, carry the disadvantage of long hospital stays and a 6 to 8 week recovery period, compared to only 5-7 days with UFE. Because you are looking to keep your fertility options open, a hysterectomy is clearly not an option; which leaves you with the option of carrying out either a myomectomy or embolization. Although neither of these procedures can promise a 100% guarantee of being able to keep your fertility, many of our UFE patients have been able to conceive after the procedure. Results vary for individual patients and therefore it is suggested that you discuss this option with your physician. 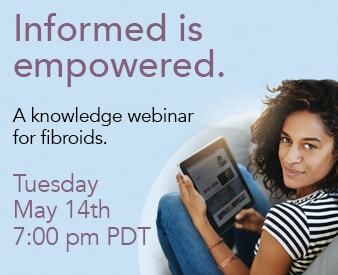 If you have any additional questions, please contact the Fibroid Treatment Collective at 866-362-6463. Are There Natural Treatments for Fibroids?